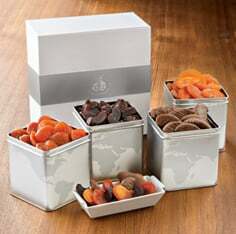 Our 12 oz. 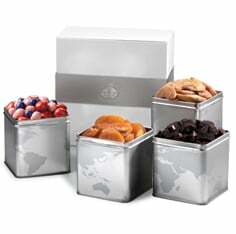 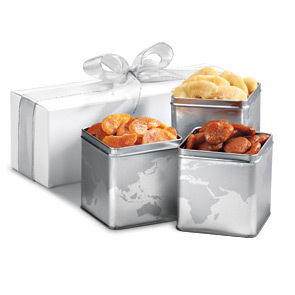 selections of unusually delicious Meduri all-natural dried fruits come in handsome, reusable tins, gift-boxed together for a truly impressive gift. 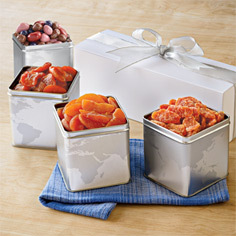 The Sweet Harmony 4-Tin Boxed Gift Set includes: Cinnamon Fuji Apple Wedges, Sweetglow® apricots and Harvest Pride® peaches. 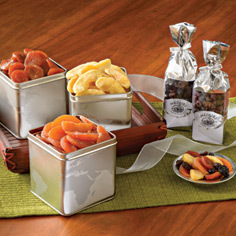 Shop other fine all-natural dried fruit gifts today!